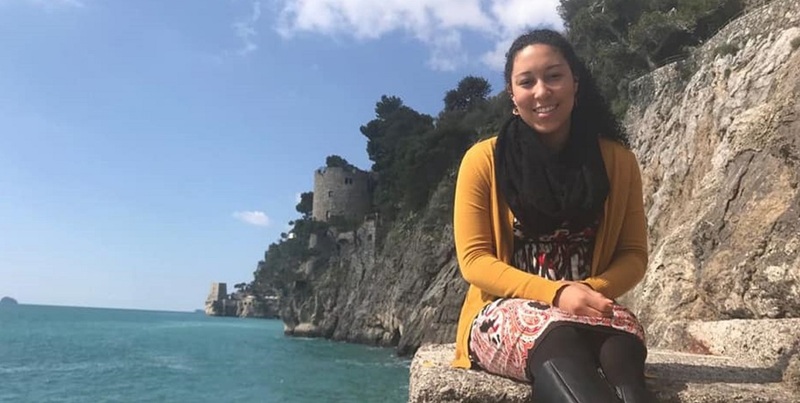 After completing her Mount undergraduate degree in theology in May, Kielce Gussie, C'19, will head to the Pontifical University of the Holy Cross in Rome to study Church communication in the university's licentiate program. Affectionately known as Santa Croce ("Holy Cross" in Italian), the university is not just a school for seminarians and priests. Approximately 25 percent of students are from the laity and 21 percent are women. During Gussie's junior year, Mount Communication Department professors introduced her to the Rev. Jordi Pujol, professor of media ethics and law at Santa Croce. 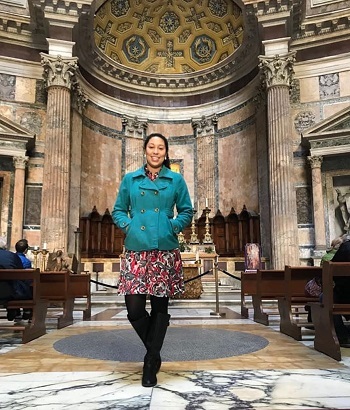 In spring 2018, while studying abroad in Florence, Gussie had the opportunity to meet again with Pujol and receive a tour of Santa Croce. She applied to the licentiate program last fall and was honored to be accepted.